for your body shape, that matches your personal sense of style? M.M. 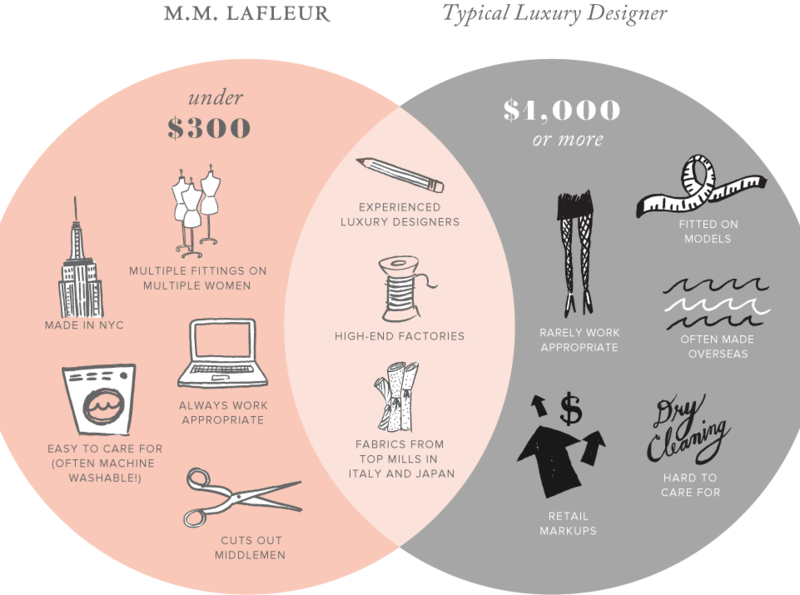 LaFleur is a fantastic fashion source that guides you into your perfect dress via their super user friendly website. The two decided to create the ideal work wear wardrobe options marrying function and form with a high fashion aesthetic. They wanted to create a better product offering luxury without the huge designer price tag. They also understood that not all working women have the time to endlessly roam the store racks, so they devised a fabulous web experience where you enter information about your personal sense of style and your body size and shape, and then are shown 4 ideal options to meet your needs. M.M. LaFleur then ships you 4 dresses, you have 7 days to decide which dresses you want, and then you simply return the ones you don’t want with their super simple return kit. They cover the shipping both ways – its all very simple and efficient. To find out the perfect dress for you, simply answer the quick and easy questions here, and you are all set!